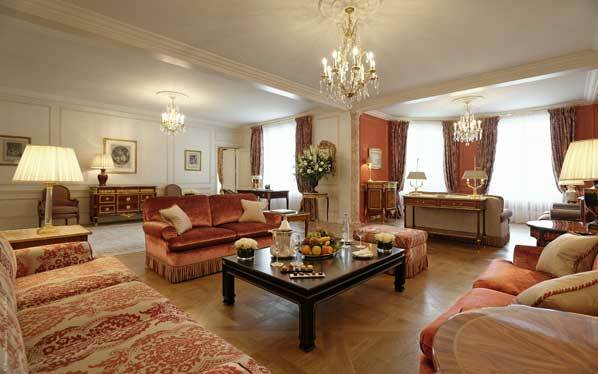 Every palace needs a suite fit for royalty and none more so than Le Bristol – the ultimate Palace of Paris. This summer Le Bristol will unveil a new Royal Suite - the final part of a spectacular five year restoration project of the hotel costing €150 million. 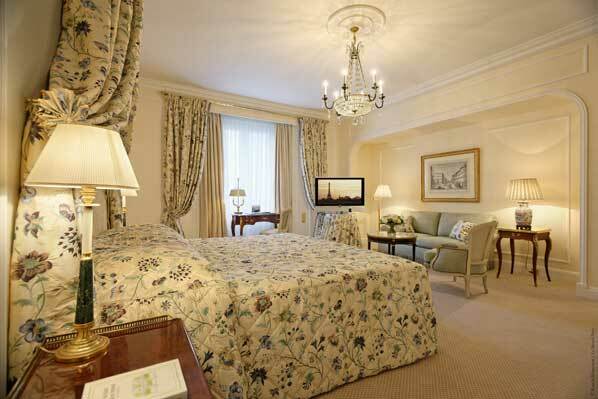 Located on the 5th floor of the hotel with a magnificent view of Le Bristol’s iconic 13,000 square-foot French garden, the 3,200 square-foot suite is decorated in the style of an 18th century residence. The suite’s crowning glory is a magnificent double sitting room with oak panelling and floors and painted walls reproducing the old patterns of a Swedish castle. There are fabrics by Mulberry, Meissen, Rubelli, Veraseta, Canovas and J Baker as well as Louis XV and Louis XVI style furniture in rare wood. In all 700 meters of fabric has been used in the suite. The ultimate for gourmands, there is also a dining room that seats up to 12 guests who can privately enjoy the gastronomic cuisine of Le Bristol’s three-star Michelin Chef Eric Fréchon. Frechon’s Epicure restaurant is an icon in France and with four Michelin stars in two restaurants, Le Bristol is the hotel with the most stars in Europe. The suite also comprises two bedrooms and two bathrooms. Each bathroom has a double washbasin, bidet, separate shower and Hammam and is made of exceptional white marble from Alicante embellished with bluish grey slabs of Savoy. The suite comes with a special VIP service for guests including champagne, canapés, chocolate and costs from €15,800 per night for one bedroom and €18,000 for two. Le Bristol’s refurbishment project is a collaboration between hotel owner Maja Oetker and internationally renowned designer Yves Rochon. The five year project has included the addition of a new wing, the refurbishment of all 182 rooms and 78 suites, Epicure - the three star Michelin restaurant, Spa le Bristol by La Prairie and most recently the addition of new Parisian hotspot Le Bar du Bristol.